The past few weeks we have been discussing matters of the heart. Your heart is the control center of your being. Your heart defines who you are and what you do. We have already discussed two specific factors that can distract your heart from what God desires to define you heart. First, the world, an external factor that seeks to distract your heart. Second, worldliness [i.e. flesh], an internal factor that seeks to distract your heart. Today, we will look at final factor, supernatural forces of evil [Devil & demons] a spiritual factor that seeks to distract your heart from following after Christ wholeheartedly. From the beginning to the end of Jesus’ ministry he warned, overturned, taught, and fought against spiritual foes. Much of Jesus’ ministry portrayed power encounters, exorcisms, and exposes a real supernatural warfare in this world. 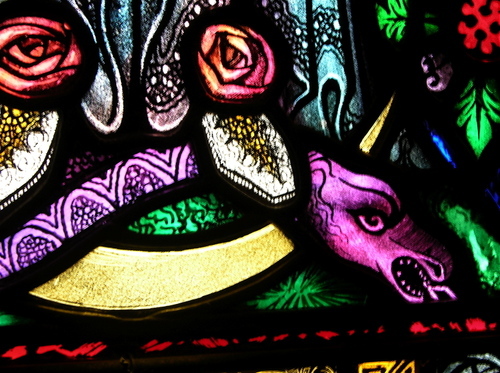 Since, spiritual warfare is real, how do we deal with it? #1 You are at war [6:10-11]. Believe it or not, and most do not realize it or try to ignore it, you are at war. From the moment you are born to the moment you die you are in the midst of a heated battle. It is the clash of the kingdom’s—the kingdom of light versus the kingdom of darkness. This world is not a playground; it’s a battlefield. This world and your heart is the battle zone. Are you ready for this spiritual warfare? #2 You are at war with evil supernatural powers [6:11-12]. “For we are not contending against flesh and blood, but against the principalities, against the powers, against the world rulers of this present darkness, against the spiritual hosts of wickedness in the heavenly places.” Paul would agree that your flesh and blood is evil, but we see in this text that the conflict is also fought against supernatural, demonic forces. #3 You are charged to stand [6:11-14]. Three times in this passage Paul tells believers to stand so you do not fall [vs.11, 13-14]. These powerful forces cannot be faced in the power of your own might. If you stand alone, you will fail. #4 You are able to stand by the provisions made by God [6:14-17]. “be strong in the Lord and in the strength of His might.” It is nothing about what strength you have, but everything about the strength of your God [cf. victory in Christ, 1:20-23]. The provision of God is the armor. The armor must be “put on,” for the spiritual armor is an external counterpart to Paul’s emphasis on inward growth and the edification of the church [cf. 4:12, 16]. #5 You are charged to be prayerful and watchful [6:18-20]. Prayer is not a weapon of warfare, but a sounding horn to God for continual preparation in the battle and communion with Him through the battle. This text is clear, spiritual warfare is real and ferocious. Paul gives a clarifying call to believers in the church to stand firm against the supernatural powers seeking to destroy their unity and reputation in Christ as ambassadors of the gospel of Christ. 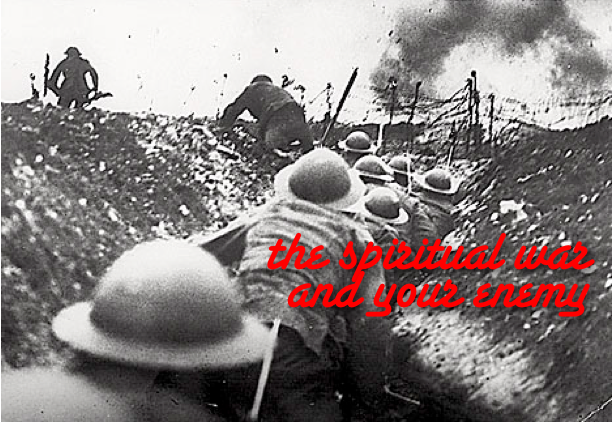 Spiritual warfare is the real deal, but what about the enemy? Throughout history, military strategists have noted the effectiveness in winning battles is to know your enemy. As Victor Hugo said, “A good general must penetrate the brain of his enemy.” As followers of Christ, you have an enemy that is well document. You have dirt on how you can win the war against him. He is not invisible and impenetrable. First, Satan is limited. He cannot do anything he wants anytime he wants. God limits Satan because he created Satan [Genesis 3:1]. God has Satan on a short leash [Revelation 12:12]. He cannot do anything without God permitting him. Satan knows humans are limited too. God limited Satan’s ability to touch Job when tempting him [1:12]. His limitation is a tactic he uses to deceive your hearts too. He knows your limited, “You can’t win. You can’t fight. Give up!” That is a lie from the pit of hell. Second, Satan is not like God. Satan cannot know your thoughts. He does not have the power to force you to do anything. He cannot even be everywhere at once. He gets far more credit that he deserves. He has lots of help from his fallen minions, the fallen world, and your wickedly deceived heart. He is not capable in power, wisdom and presence like God. He can’t do what God can do. Only God can do what God can do. No one is like God. Third, Satan is the defeated enemy. Have you read the end of the Book—the Bible? God will deal with Satan [Revelation 20]. God will throw him into the lake of fire for all eternity. Satan does not win. He ultimately loses. The cross of Christ crushed Satan’s hope for victory [Colossians 2:15]. Jesus defeats the devil through His death and resurrection. Although he is defeated he is not going out quietly. He is on a rampage to inflict as much chaos and catastrophe in the world and your life as possible before his end. During America’s Civil war General Ulysses S. Grant’s men were impressed—even scared of—southern commander, General Robert E. Lee’s brilliant war strategies. One northern sergeant said, “You never quite know how he is going to move. Wish we had ‘im on our side.” Now Robert E. Lee is not the devil [you can still get shot is some places for making a statement like that], but my point is, the strategies of the enemy often inflict fear in those on the defense. Don’t underestimate Satan’s power [1 Corinthians 10:12]. He is strong, sly, and stealthy. He has ruined many lives. In Jesus’ words, he tries “to steal, and to kill, and to destroy.” [John 10:10; cf. 1 Peter 5:8] Satan’s sole purpose is to bring you down, to take you out, and inflict you with so much fear that you have no other hope than to escape this life. Have you ever known someone paralyzed by fear? They tell you how powerful and cleaver the devil is [Ephesians 2:2], and how scared to death they are of his strategies. They give up to his tactics in defeat. They give glory to his strength, rather than giving it to God who is infinitely mightier and more powerful. Do not be intimidated by the devil. Do not give him any ground [Ephesians 4:27]. Keep short accounts with sin. You have resources in Christ to effectively counter his attacks. Believe it or not, Satan believes Jesus [Matthew 4:3]. He fears Jesus [James 2:19] because he knows Jesus will judge him. The devil does not want you to know he is out matched by the power of Christ. He does not want you to know he has been conquered and constrained through the death and resurrection of Christ [1 John 3:8]. In Christ, you have victory, authority, protection, power, and position.